Palliative care pharmacist in Kathmandu, Nepal, in 2016. 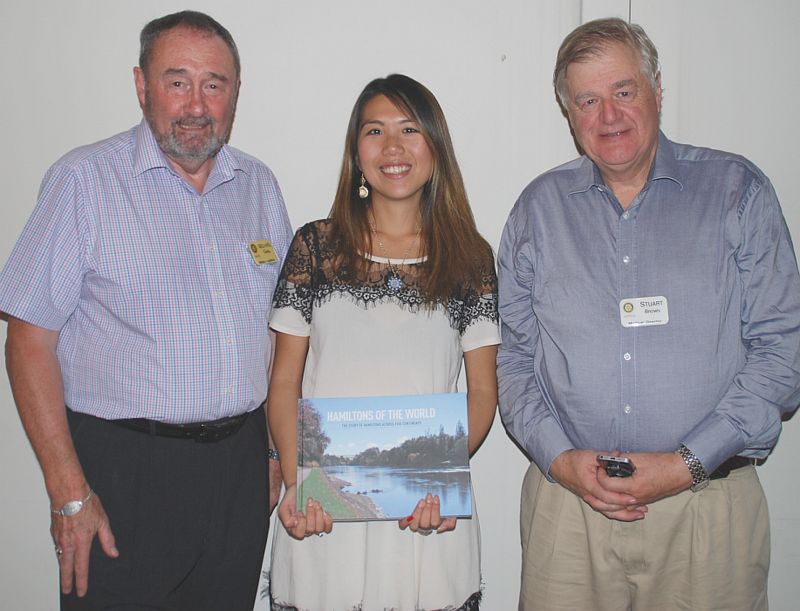 Last night club members enjoyed an informative presentation by Rachel Yang, a pharmacist from Auckland, who spent time as a palliative care pharmacist in Kathmandu, Nepal, in 2016. "Volunteering overseas has always been on my bucket list. I didn't realise I'd have enough skills. It was something I always wanted to do, but didn't know how," she said. Doctor Stuart Brown, a palliative care specialist at Waikato Hospital and member of the Fairfield Rotary Club, introduced Rachel to Two Worlds Cancer Collaboration, the non-profit organisation with whom she worked in Nepal. They are a group that provides volunteering healthcare professionals in countries that lack resources. Rachel concluded by saying, "My time spent in Nepal was an eye opening experience. I was and still am, determined to make the world a better place. Needless to say, my time in Nepal really challenged me as a pharmacist and also as a person".